With a stay at Mingdian Business Hotel in Yichun (Yuanzhou), you'll be within a 15-minute walk of Yichun Stadium and Zhuangyuanzhou Park. Featured amenities include luggage storage and an elevator (lift). Free self parking is available onsite. 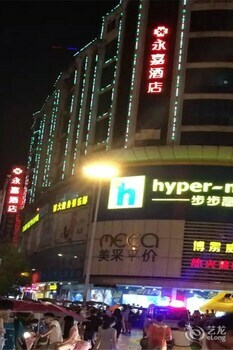 Today Inns is located in Loudi. Featured amenities include ATM/banking services and an elevator (lift). With a stay at the Vitality inn in Shangri-La, you'll be within a 15-minute walk of Diqing Museum and Guishan Park. A shuttle from the airport to the hotel is provided at no charge. With a stay at Chengdu Himalaya Grand Hotel in Chengdu (Jinniu), you'll be convenient to Southwest Jiaotong University and Yong Ling. Self parking (subject to charges) is available onsite.